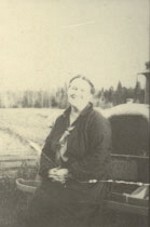 In the 1870's Sarah A. Randall became a nurse. Then a Dr. of Osteopathy, a bone Doctor. Sarah was a well off, attractive, intelligent young women of good family. She was aided and encouraged to pursue her passion in medicine. It was accepted at the time, that she would give up all the foolishness when she met a good man to marry. But when Sarah informed the family, that she had no interest in marriage and intended to practice as a Doctor. Sarah became a scandal overnight. In a time when showing ones ankles was a scandal. A young unmarried women who observed and touched naked body parts was indeed a scandal. In many parts of the family Sarah's name was not allowed to be mentioned. So although Sarah lived to be 64 and practiced medicine in Aroostook county, all that time. She disappeared in her own life time. Great grandmother Carrie Turner Alley was a wife , mother and lay Doctor and midwife. 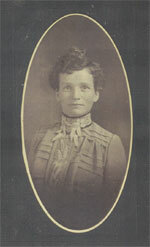 She traveled where she was needed and practiced in Mapleton, Ashland, Castle Hill, Washburn, Wade, and Crouseville area. Carrie was solidly built and stood 4' 11". She was a twin. Great grandmother Carrie was a pleasant, happy women with a delightful gift to gab. She was also a very fine horsewoman and could often be seen making her rounds behind her dapple grey Gelding, Phil. 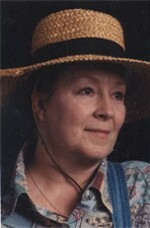 Natalia Bragg is a practicing Herbalist of 52 years. She has traveled and taught her craft on and off the Knot II Bragg Farm for the last 25 years. 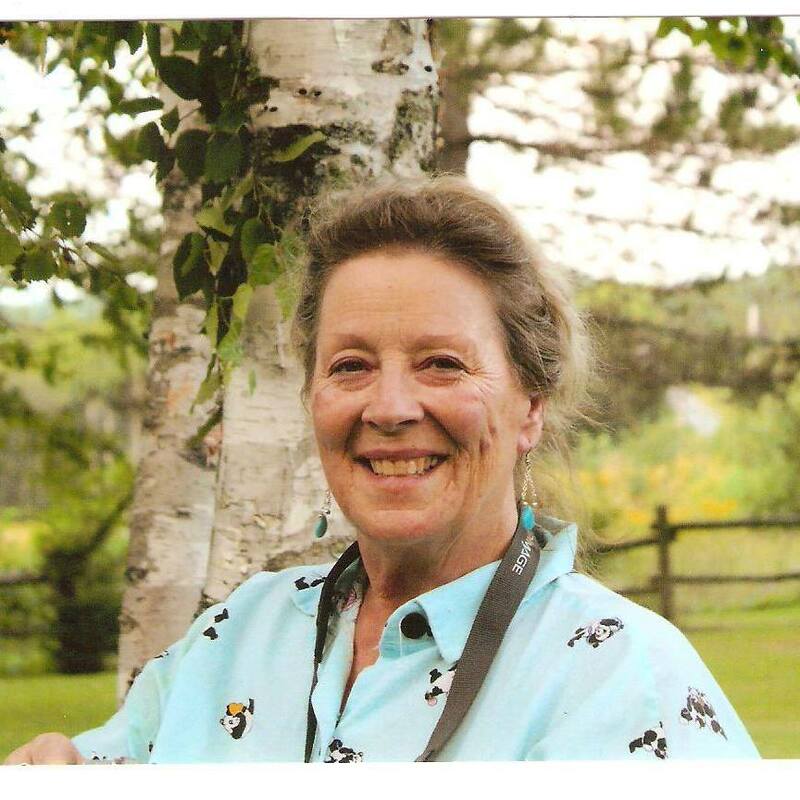 Natalia is a founding member of the Aroostook County Herb Association. 1975-1995 Natalia was a 20 year volunteer 4-H leader, teaching horsemanship and survival training. 1997 Natalia was featured on W A B I in Bangor. Program "Hiddin In Plain Site"
1998 Natalia was recognizes by the Maine center for Women, Work and Community as a inspiration and for her many contribution to the community and the county. 1998 Featured in the Presque Isle Star Herald "Celebrating Women" article. Single handedly wrote a tourist guide for Washburn. It was such a success that she is now asked to consult over small northern Maine towns on their tourist guides. 1999 Bangor Daily News article: "Choice for state herb rooted in history - 1/29/99. Natalia lobbied the Maine State officials for the Maine State Herb Association to get the wintergreen plant recognized as the Maine State herb because it was the first cash crop for the state of Maine. 2000 Featured on WCVB in Boston on the "Chronicle " program "Back Roads In Aroostook County"
2001 Featured on MPBN "Made In Maine" - Program " Something Special"
2002 Developed the first stage of a natural cancer formula - In order to maintain robust health these element are critical. They are called "The four horsemen or The planks of health". 2003 Featured on "Made In Maine " - Program "Made it in Maine "
2004 Was an invited guest speaker for the Canadian Government on "What to do after the board feet are gone from the forest". 2008 Trained in the Reiki method of Natural Healing. Certified healer. 2009 Featured in Grit Magazine - "Country Women Rock "
2009 Featured in the Bangor Daily News 7/27/09 Local & Regional section: "Nature is the cure at County farm"
2011 Entrepreneur of the year Honoree - LEAD (Leaders Encouraging Aroostook Development) and Momentum Aroostook welcomed Natalia as one of the 2011 Entrepreneur of the year nominees. 2012 June 2012. Taught Traditional herbal medicine at the UM at Fort Kent to students from the Marshall Islands as part of the UMFK nurses training program. Natural alternatives. As part of the American Pacific Nursing Education program. 2012 Natalia teaches students from the Marshall Islands as part of a 5 week program to teach traditional herbal formulas. Hired jointly through the State Department and the University of Maine at Fort Kent to teach 14 nursing students natural cures. These are the first students in all of Micronesia to earn their bachelor of science degrees in Nursing. These students will become the leaders and future teachers of their fellow nurses going forward. 2013/14 Featured in "Wiser Living in Maine": magazine. 2013/14 editions - Cultural history and herbal formulas. 2014 Filmed an introductory program for Time Warner Fox 8 with host Gerta Martin on health care and for the television show, "America - The View From The Top". 2014 Featured in "Unique Maine farms book"
2015 Filmed a 9 part series on maintaining health naturally for Time Warner Fox 8 with host Great Martin for the television show, "America - The View From The Top". 2015, 2016 & 2017 Conducted seminars for The Area on Aging for Aroostook County at the Senior Expo in May at the University of Maine - Presque Isle. 2016 Advised a doctor on the art of naturally healing dementia and brain fog for the book "Alzheimer and Dementia Coaching". 2017 Featured writer in "Wiser living magazine" on Cancer "Did you know?" 2017 5/31/17 Presque Isle Star Herald article: "Herbalist shares healing knowledge with Probus. Natalia shares the "Planks of Health" with the audience. Also received a certificate of appreciation from the group. 2018 As an herbalist board member of Dr. David Harshfield's team, Natalia was Invited to and attended the AAOM 35th annual conferece & scientific seminar "Interventional Regenertaive Orthrapedic Medicine - The complete IROM Specialst". 2019 Wrote three articles for the Fall/Winter 2019 Wiser Living in Maine magazine. 1) How much do you know about cancer? 2) Old made new again - herbal formulas that have stood the test of time - made new again at the Knot II Bragg Farm. Natalia carries on the herbal culture and the traditions of six generations of healing women. She has created and maintains the "Old Log Drivers" herbal product line.